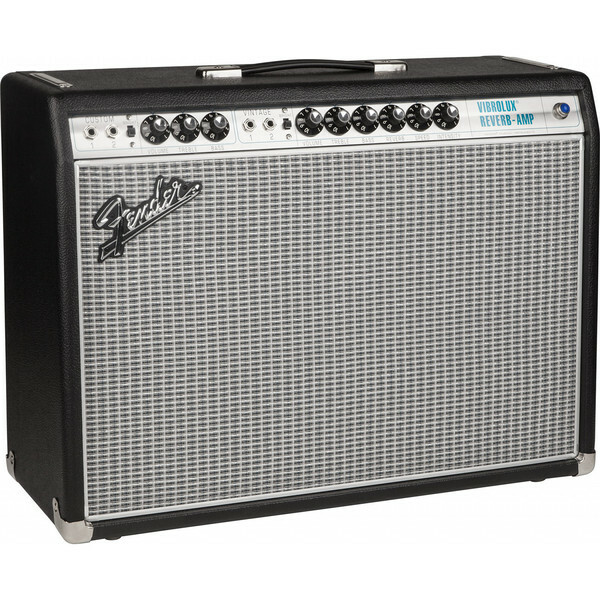 The Fender '68 Custom Vibrolux Reverb guitar combo amp pays tribute to the classic looks and performance of a late 60's Fender 'Silverface' amp but features a twist, both channels can make use of the built in reverb and tremolo and the custom channel has a modified Bassman tone stack that gives modern players greater tonal flexibility with pedals. The '68 Custom Vibrolux Reverb guitar combo amp by Fender features quicker gain onset and reduced negative feedback for greater touch sensitivity and this amp fits nicley between the Deluxe Reverb and Twin Reverb, in respect to power and size, the '68 Custom Vibrolux Reverb's dual 10" Celestion TEN 30 configuration and 35 watts of all-tube power deliver distinctive rock 'n' roll flavour and classic Fender tones. 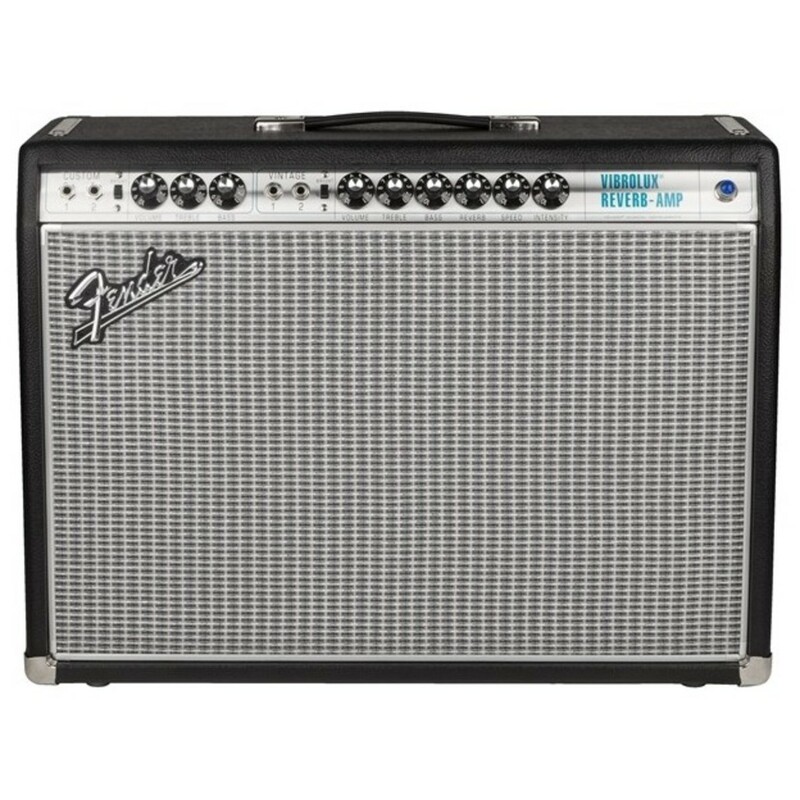 This amp is incredibly versatile and perfect for use in the studio, at home or even as a gigging amp in smaller venues. 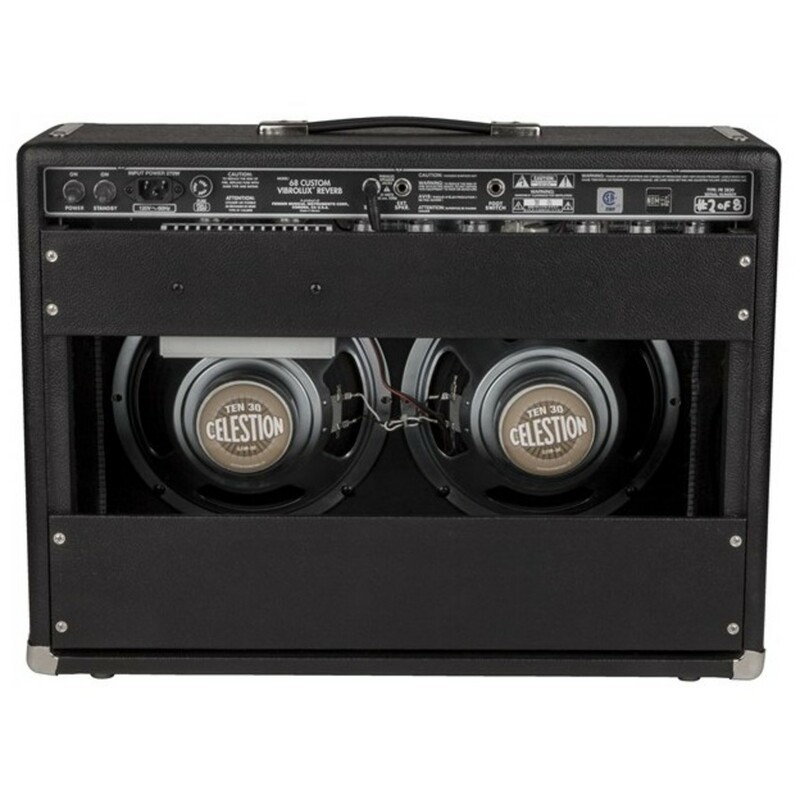 With a silver-and-turquoise front panel and classy aluminum "drip edge" grille cloth trim, the Vibrolux Reverb received a fresh new face as it remained the ideal recording and performing amp.